…a learned piece and he should be commended for it. However, it left me, personally, somewhat mystified. Is it permissible to buy movie theater popcorn or food from street vendors selling name-brand kosher products? The fish is one of G-d’s most silent creations, given that there are millions of these creatures around the world. Drink a lot of water for a week before the fast, and especially the day preceding the fast. OK Rabbis take to the field. View our gallery of recent photographs. 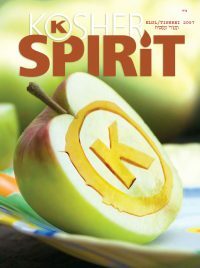 With 200 stores in New York, New Jersey, Pennsylvania, Connecticut and Delaware, ShopRite’s market area is home to more kosher households than any other region of the United States.